Alive In Africa: Blogger Down? Well, not down, but crammed full while hosting Aaron and Megan for the five days we are here. We have done, well, everything. 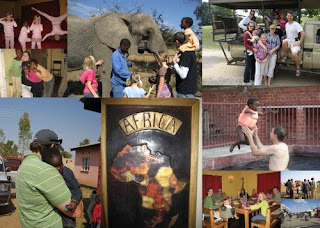 We safaried, visited churches, community schools, orphanages and more. They also went to the local hospital and are currently bus-ing it down to Victoria Falls for a few days away. It has been a full week of remembering memories and new memory making. I look forward to updating you all on some of the cool stories that has happened this week. But until then, enjoy these pics! Checking out my intern's blog! Street Kids Ministry (for fun)?!?! ?